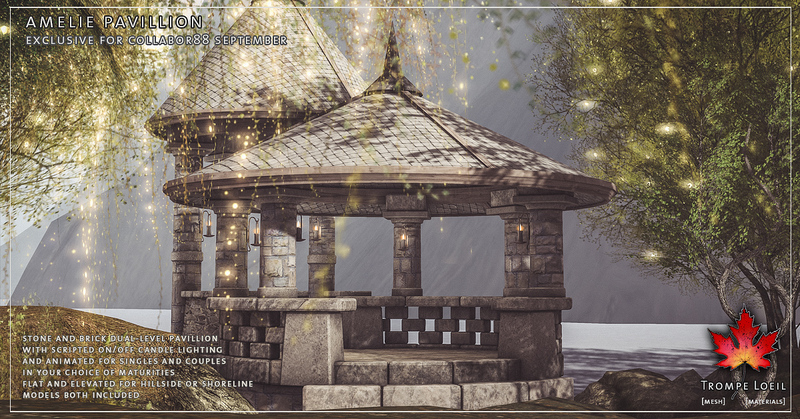 Soft autumn breezes beckon you to your favorite lookout, on a hill or over the water – bring the one you love, its animated for two! 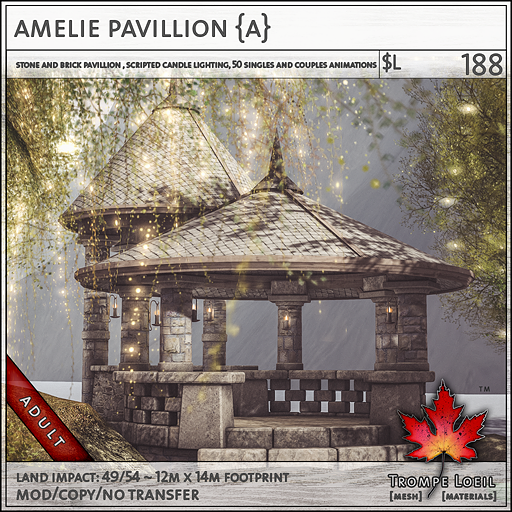 The Amelie Pavillion for Collabor88 September is a romantic getaway built for sunkissed autumn afternoons! 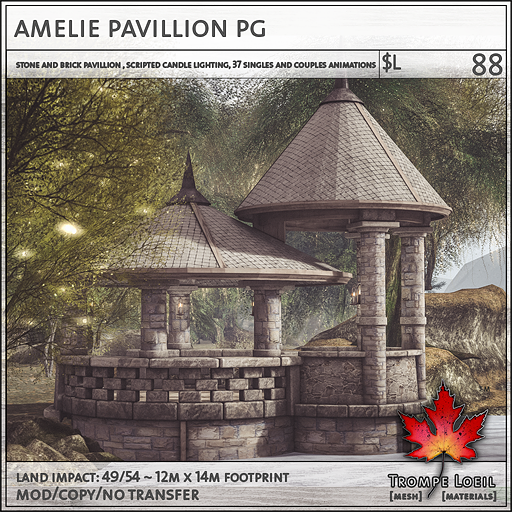 The Amelie Pavillion is a stone and brick structure, weathered and aged for a soft, touchable effect. Scripted wall-mounted candles are ready to cast a romantic glow – turn them on and off with a touch. Pick from your choice of maturities – both are animated for singles and couples to enjoy! 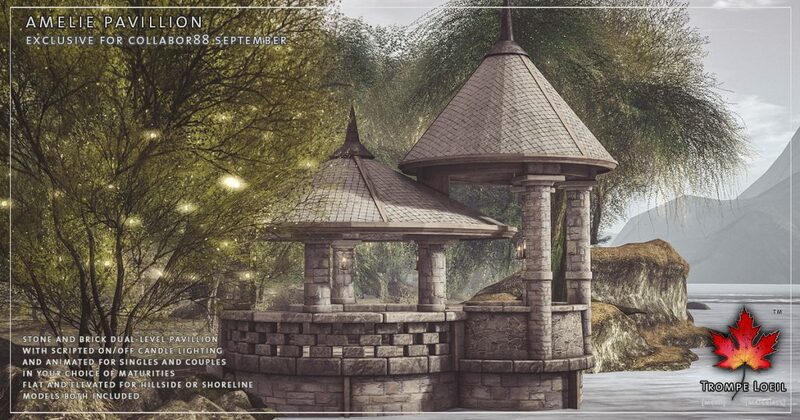 We include a flat-bottomed model and an elevated model perfect for fitting into a hillside slope or on a shoreline out into the water. 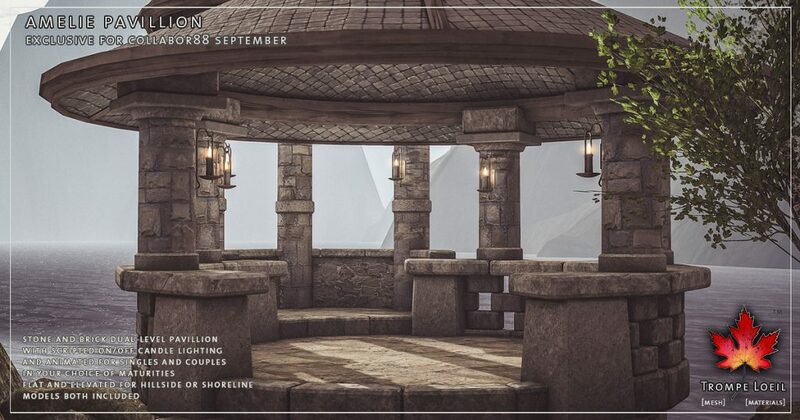 Only at September Collabor88!